Their efforts follow the record levels of turnout among Rice students this midterm season. A total of 753 students cast their votes on campus on Election Day, surpassing the turnout levels of the 2016 election, and an additional 545 students voted early. Civic Duty Rice, a nonpartisan organization whose goal is to increase civic education and awareness, will host a post-election event next Saturday with Baker Ripley, a Houston nonprofit, to showcase Houston’s reaction to the midterm results through art. According to Meredith McCain, Civic Duty Rice’s regional director, the event is part of a larger effort to provide more avenues for political expression. The Texas Tribune reported that 51 percent of registered voters in Harris County cast ballots in the 2018 midterm elections, compared to 32 percent in 2014. Juliette Turner, chairwoman of Rice University College Republicans, said she was thrilled by this year’s voter turnout among college students and hopes to see and even greater rise is future years. “I believe that, due to the frequent discussions of politics on social media, college students are becoming more involved in the political process,” Turner, a Duncan College junior, said. Turner said RUCR is pleased by the election results, which they have discussed at their Tuesday Topic meetings. According to Turner, RUCR plans to hold more formal discussions in the coming weeks and invite Republicans who won their races, including Dan Crenshaw and Sarah Davis, to speak at Rice. Franz Brotzen, president of Rice University Young Democrats, said the increased turnout is a step in the right direction. Rice Left, an organization that describes itself as politically left of the Democratic Party, held a post-election workshop two days after Election Day to encourage continued student engagement. Bilal Rehman, a Duncan College junior who helped organize the workshop, said the event featured speakers from the Texas Organizing Project, a left-leaning nonprofit, and Students for Justice in Palestine. According to McCain, students are starting to understand the direct consequences that politics and government can have. “It’s our responsibility as young people, as the next generation of leaders, to take ownership of the processes shaping the world around us,” McCain said. 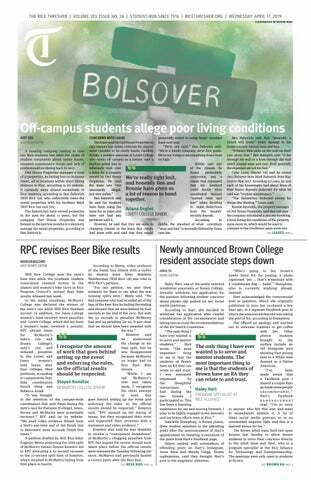 This story has been updated with responses from the Rice University College Republicans.